Today we spend the day with the talented and affable photographer Matt Washburn, lavishing attention on our beautiful frames. 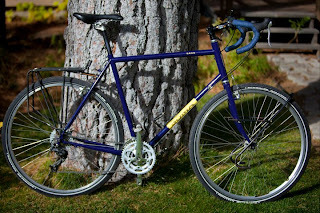 Our friends at American Cyclery built up some lovely bikes: a Double Cross, Rush and the new Mini Velo.. Look for these shots on our website, flickr, and in some fine publications in the near future!! Happy weekend peoples!!! 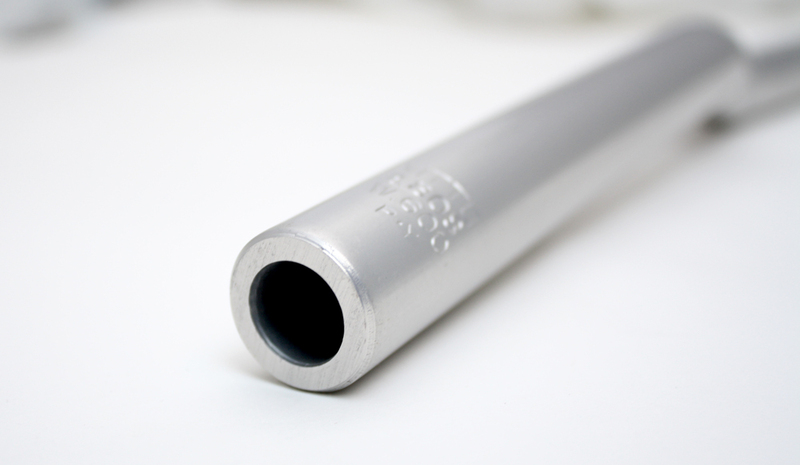 We're often approached by customers who have a Nitto or Cinelli quill stem and can't use it because their fork is threadless. 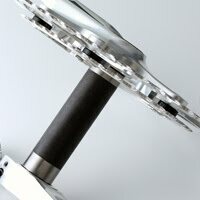 We mulled over this for a while..and came up with the design for the product that has been dubbed "The Quill-inator". Our friends over at Tange-Seiki in Japan are responsible for the production. TA-DA, the new Soma Quill-inator! 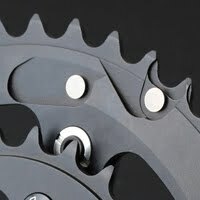 It allows the use of a quill stem on any threadless system. It's a niche product but we think it fills an important one. 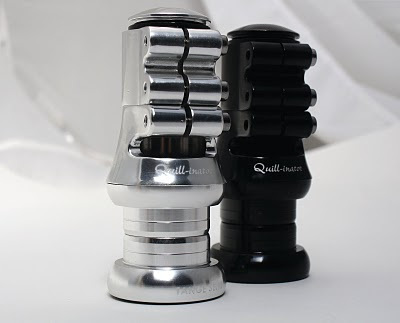 Now you can have the reliability of a threadless system and still use the vintage quill stems you have kicking around. Gotcha! !--although you, fair reader, are probably too intelligent to fall for something this ridiculous. This blog was brought to my attention this afternoon: Horses with Hands Riding a Bike . Its purpose, as far as I can tell, is to make us all aware of how hard it is to draw this scenario. It invites blog visitors to make a go of it and send it in. Hopefully this doesn't become too popular--I can't imagine trying to reenact this in a parlor game!! 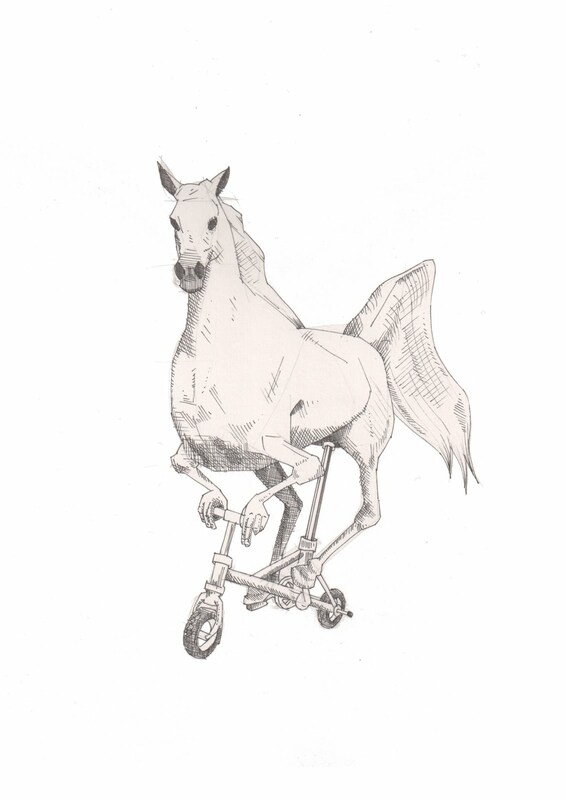 Anyhow, happy weekend people-hopefully it brings lots of biking/bizarre drawings/parlor games!! New from Nitto, a handlebar that can be used in conjunction with both a 22.2mm BMX stem and a 25.4mm stem! How is that possible? How can that be? 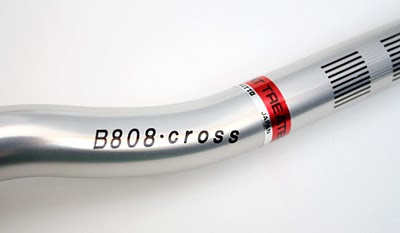 It's all in the shim folks, with the power of the shim this handlebar can transcend the limitations of mortal handlebars(I wish I had a shim..not fair). 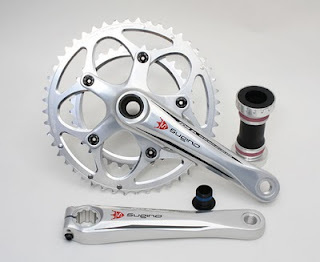 Pictures don't do these cranks justice, they are gorgeous! 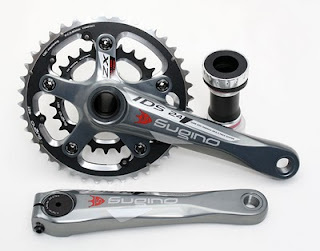 Sugino's new CompactPlus+System adds some competition to a market that is currently dominated by SRAM and Shimano. Pictured above is the Sugino ZX801D MTB crank, we've also got the OX801D Compact Road crank...but we'll get to that later. 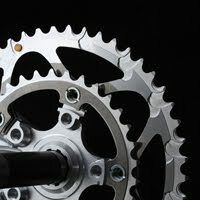 Don't want to follow the crowds with the SRAM and Shimano 2x10s? Here's an alternative! 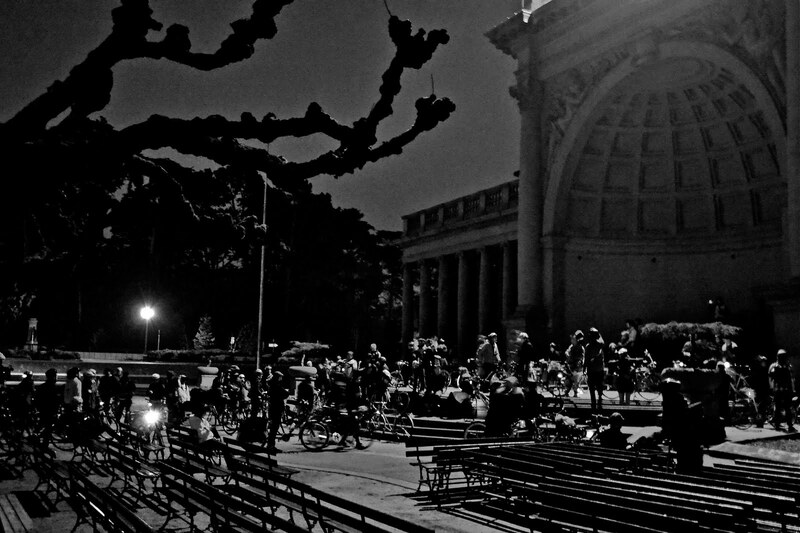 For three years now, San Francisco bike culture has been nipping at the heels of our neighbors in the East Bay and San Jose and that ain't right... Now, thanks to the work of some seemingly anonymous, tireless souls, San Francisco has its own Bike Party!! The first ride took place last Friday. Beginning at Giants Stadium in Soma (yay Soma) it leisurely made its way through the city before ending at Civic Center. Check out the map !! Some pals and I wimped out from doing the whole ride due to the chilly night (ok, yes we are wimps-it was 45 + o - degrees with the ubiquitous mist...feel free to mock) and started in the Richmond-about 1/2 through. We were thinking ok, starts at 8--they should be out there at 9:30. 7 miles in 1.5 hours..sounds reasonable. Bike Party took its sweet time and rolled in at 10:20...this is the spirit of Bike Party! Come in the beginning, take your sweet time and enjoy yourself!! We took note..next time we are going all out (hopefully it will be a tid bit warmer). When the San Francisco Bike Party rolled up it was pretty surreal. We're out in the Richmond ghost town and then all the sudden a bike brandishing giant speakers blasting Missy Elliot rolls up--with about 400 bikes in tow!! Pretty crazy.. There was lots of spirit-lots of colorfully lit spokes, lots of colorfully dressed bikefolk. All the regulars of the SF Bike Culture were in attendance: Bubble Bike, Trike speaker-man etc. Check out the impressive flickr stream.. While it had many elements of Critical Mass (the party vibe, outrageous dress, all-around characters)--it was definitely a different feeling. More respectful. The organizers had someone posted at every light and stop sign on the route--encouraging riders to stop and stay in lane. 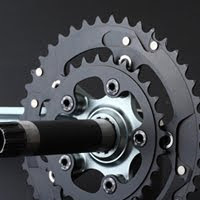 This is an integral part of San Francisco Bike Party and with all of the sparks flying between bikers and drivers these days it is a refreshing change. 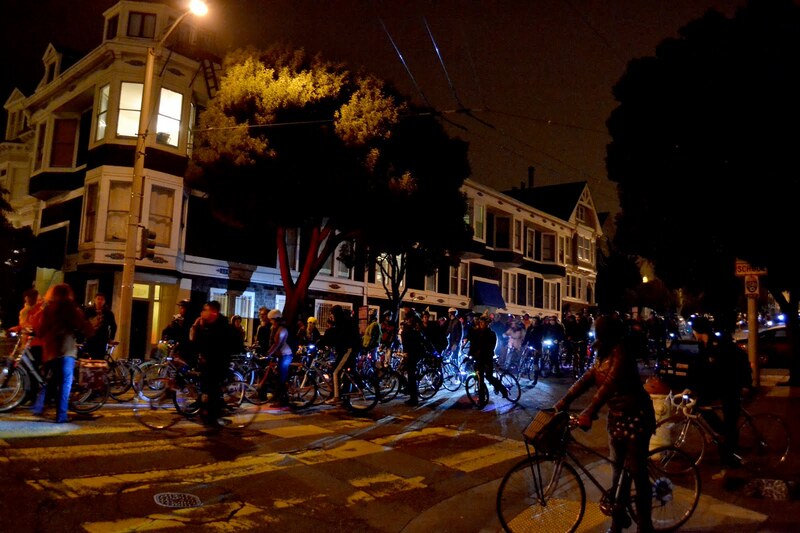 Hopefully this was the first of many San Francisco Bike Partys, with the turnout, I would say this is a given. Fun was definitely had by all and the positive energy was contagious! 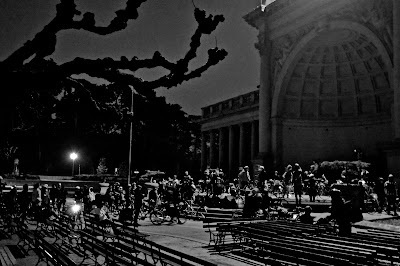 I leave you with this photo of the San Francisco Bike Party making a pit stop in the bandshell in Golden Gate Park...happy weekend! 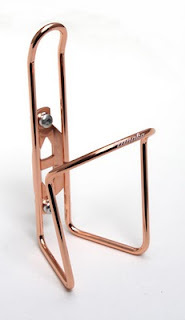 Check out this gorgeous new Tanaka Copper waterbottle cage! We just added them to the store and are super excited about them. We've been seeing lots of copper accessories/components recently--if you're looking for parts to match with your copper railed/riveted saddle you've got plenty of options. We already have MKS Copper pedals in the GR-9, Track and Road models and we just added a copper touring model. Top it off with a copper Crane Bell and you've turned a Plain Jane into a...alright starting to feel a touch skeezy ..but seriously think about it!! India has been getting a lot more negative publicity these past couple of years with every season an "Amazing Race" couple commenting on the smell and the crowds. And of course all the business of outsourcing these days, which is more an issue of U.S. corporations rather than the people of India (in this writer's opinion). 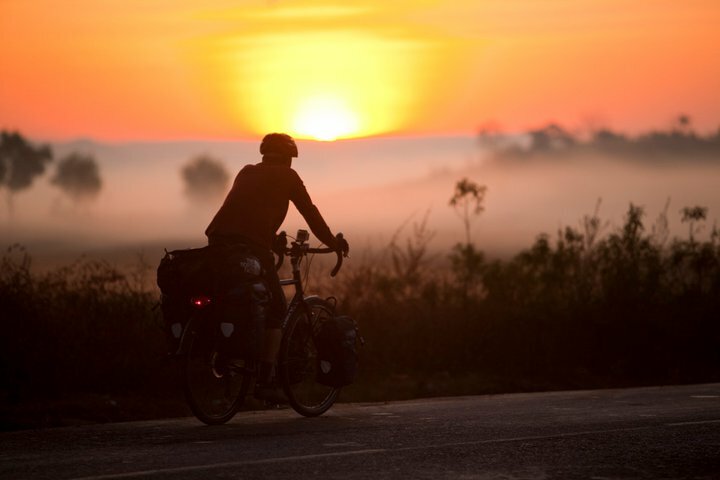 India is still an incredible place to visit as Rick Gunn (soulcycler.com) is finding out again. He has been on a north to south trek through India since November. He started out at the Golden Temple in Amritsar (Punjab) and hopes to finish up on the white sand shores of Kerala. He spent New Year's Eve in Goa where it was a chilly 90 degrees. It is his first extended trip on his new Soma Saga frame. 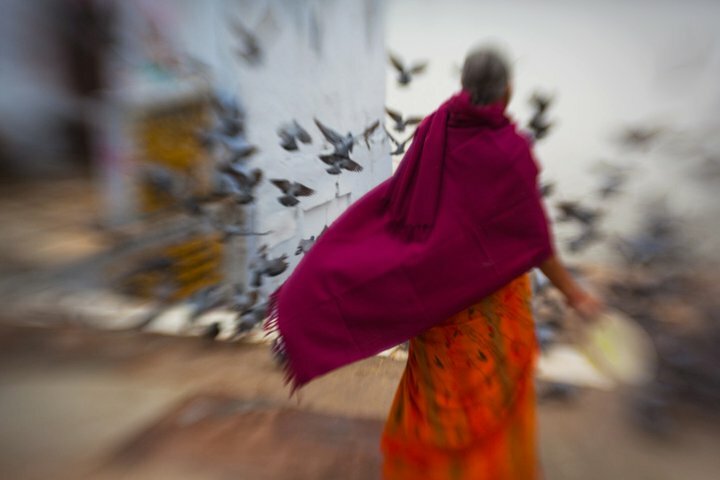 Rick's an awesome photographer and we look forward to seeing more shots like these early ones, which show India ain't just the crushing bustle of Mumbai. Rick's Saga is his third Soma. 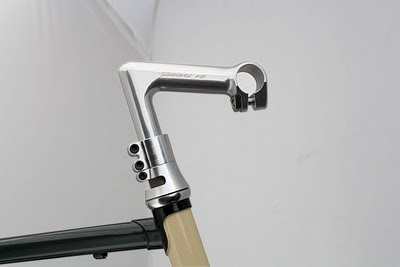 The first one was a first generation Soma Groove which he bought used.